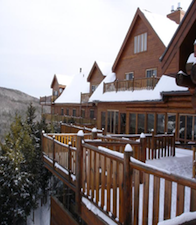 Why Take a Snowmobile Vacation Adventures in Quebec? Quebec is the world’s greatest snowmobile destination; a convergence of beauty, robust winter climate, a fully integrated trail system, extensive trail side services and a long historical connection to recreational snowmobiling. The province of Quebec is located to the north of the northeast United States and is comprised of 527,079 square miles, making it almost the size of the state of Alaska. The landscape is as varied as it is beautiful. French is the official language of Quebec and its cities and institutions have a distinctly European feel. A commonly held belief in Quebec is that the winter should be celebrated, not just endured. This attitude produces outstanding winter activities such as, The Winter Carnival, the annual construction of the Ice Hotel, dog sledding, ice climbing and of course snowmobiling. Our trips generally take place in the regions north of the Saint Lawrence River and the Gaspe Peninsula; areas known for a healthy winter season. Many times in recent history, riding conditions were poor or even non-existent in the northeast U.S., while three hours north of the U.S. border, conditions were excellent. Our trips are scheduled according to conditions in the region. With the last few years as a guideline, our trips generally take place between January 5th and April 7th. 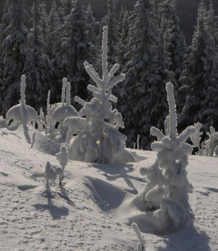 The Quebec snowmobile trail system is network of over twenty thousand miles of groomed trails. Most trails have route numbers and traffic signs posted. 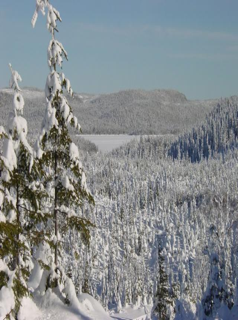 The trails are maintained by a central body called the Federation de Club Motoneige Quebec (FCMQ) and hundreds of snowmobile clubs throughout Quebec. The maintenance of the trail system is funded by a fee charged to those who buy a trail pass. The trail system extends to most regions of the province and there are few if any obstacles to the continuity of the system. 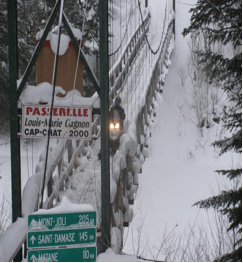 There are 300 foot suspension bridges, ferry boats, trucks for crossing the Saint Lawrence River and hotels that will pick you and your snowmobile up if the trail does not extend to their establishment. This unique “infrastructure” allows for a snowmobiler to design a circuit or tour of a region; whereby a trip becomes a real adventure, with an itinerary and different lodging every night. The services available on the trail range from luxurious hotels with 5 course meals to motels offering fast food. Snowmobiling is a two billion dollar per year industry in Quebec, with a significant portion of it coming from Europe and the U.S. We enjoy an ongoing relationship with many of the shops, inns, restaurants and repair facilities in the region. We use service providers who offer a high level of care and customer service to our clients. 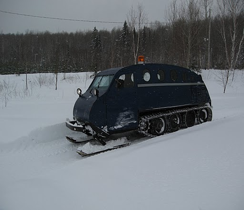 The first snow vehicle was designed and built in Valcort, Quebec by Joseph Armand Bombardier in 1937. Capable of carrying up to seven people, it was used primarily for delivering mail and carrying children to school in remote areas of Québec. Heavy snow storms prevented the clearing of roads for most of the winter and Bombardier was quite successful marketing his machine. Government rationing during World War II restricted the market for this machine, so Bombardier designed a vehicle for military use. In 1948 the Quebec Government mandated the clearing of all rural roads, so Bombardier found a new market in the forestry industry. He spent the next decade working on his dream of building a smaller snow vehicle for recreational use. 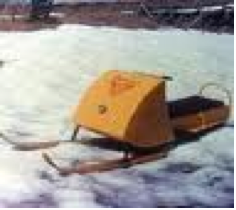 In 1959 he brought to market this new “personal”snowmobile that was to be named “ski-dog”. The print shop however, made an error and the materials were printed “ski-doo”, so Bombardier decided to use the name “ski-doo”. Sales of this vehicle skyrocketed, and over two hundred manufacturers produced nearly five hundred thousand snowmobiles in 1970. Unfortunately, Bombardier passed away in 1964, so he never observed the tremendous level of success his invention would achieve. Quebec’s historical connection to the development of the snowmobile is important because it helps to explain their commitment to preserving the region as the world’s greatest snowmobiling destination.